- Sunday was a warm day in the mountains which turned the fluffy snow base of the past two days into a heavy and wet base. 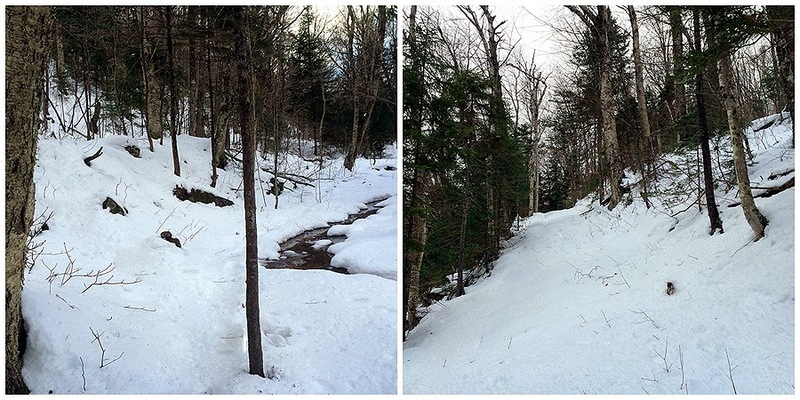 I figured I'd hike a lower 4,000 foot mountain so I could leave the snowshoes behind. 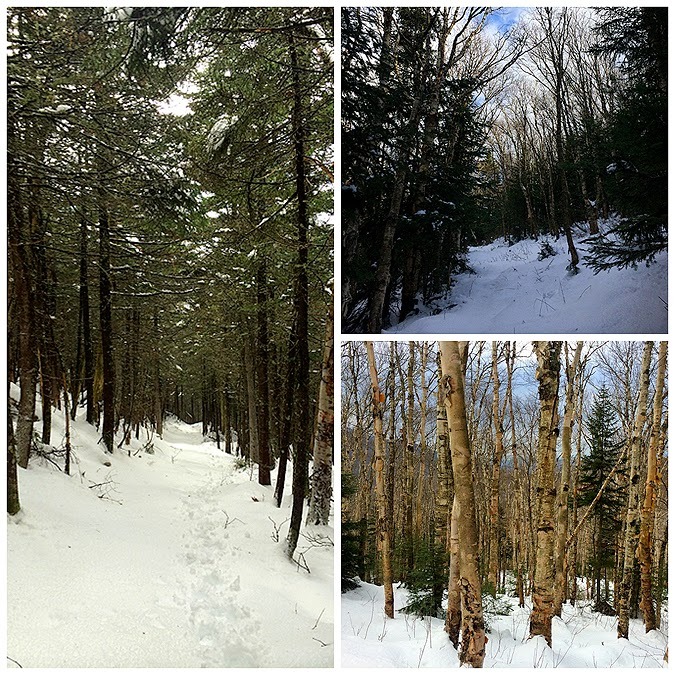 - I decided to head to Little River Road and over to Mount Hale via the old Mount Hale Trail, AKA the Firewardens Trail to enjoy the nice gradual ascent through the Birch glades. 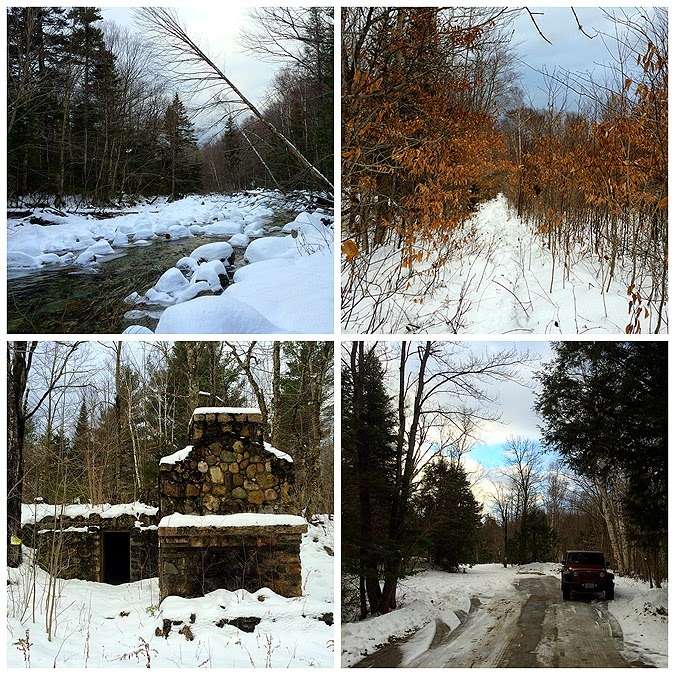 When parking at the end of Little River Road, Please do not block the bridge, do not wear spikes on bridge, and respect the the area and the local home owners who let us use their property to access the mountains. 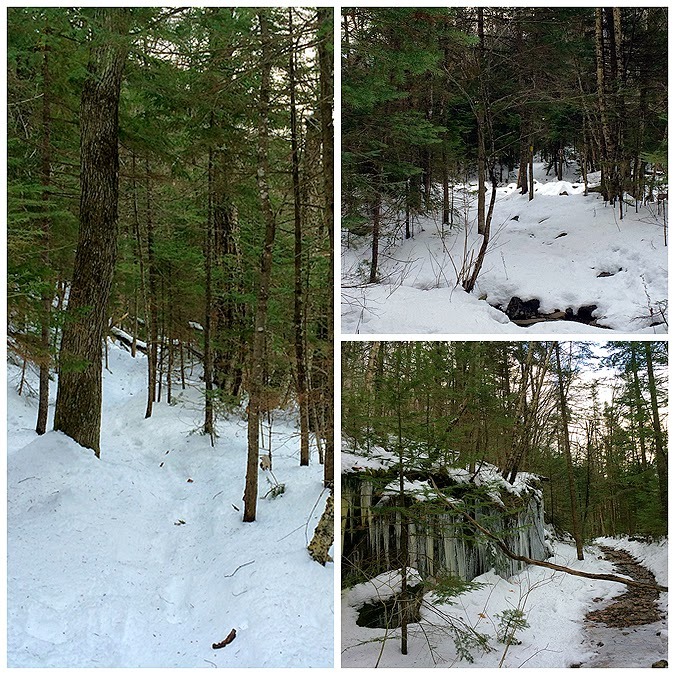 - I started my hike around 11:30 and was surprised there were no other cars to be found and no recent evidence of heavy hiker travel heading along the old logging road on the way to the North Twin trailhead on Haystack Road. 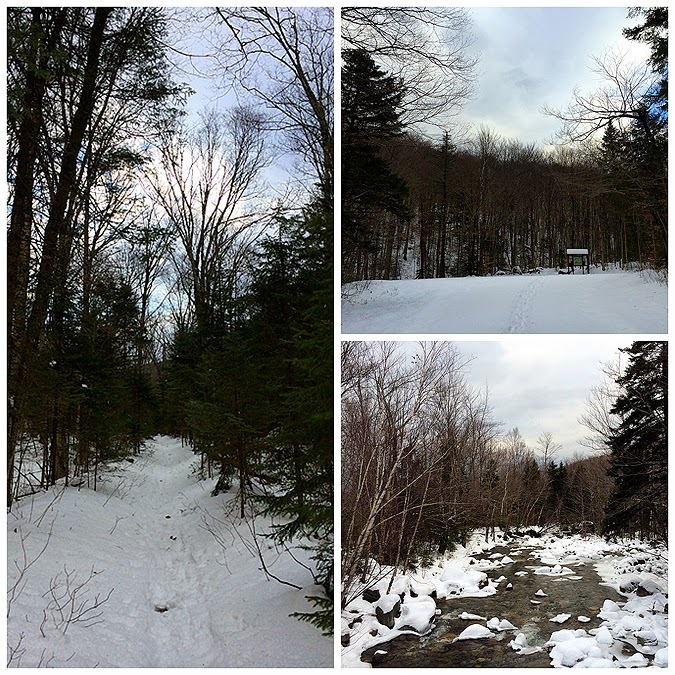 - It's an easy hike to the start of the Fire Wardens Trail, which is located off the herd path that bypasses the first two water crossings along the North Twin Trail. 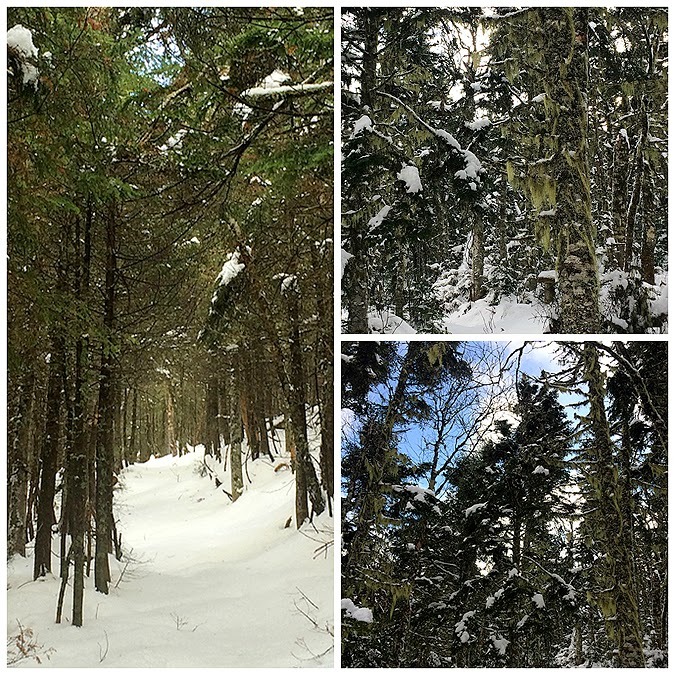 - Once I hooked onto the old fire Wardens road I quickly realized that I should have brought my snowshoes as the trail was not broken out and snow depths kept increasing the higher I went. 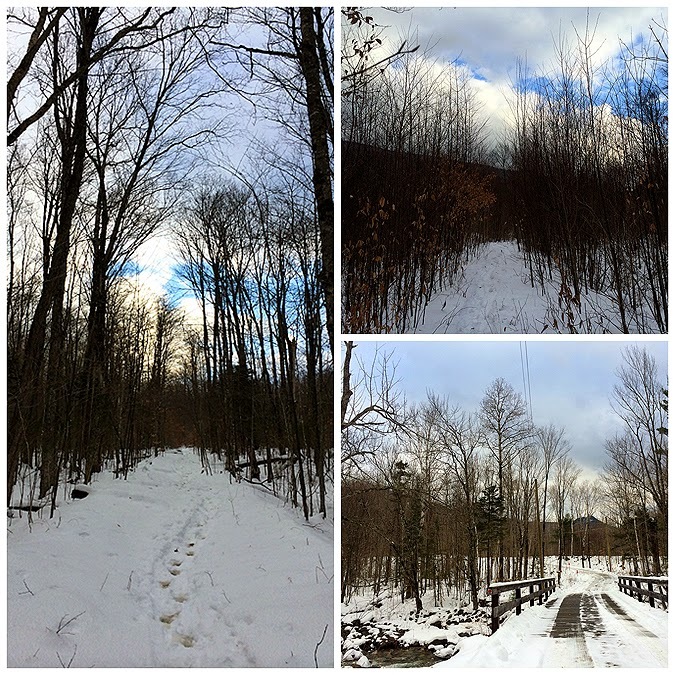 I wasn't upset because I wanted a workout and not having the snowshoes gave me quite the workout as extra effort had to be made as a major balling up of the snow was happing since the temps were in the 40's. 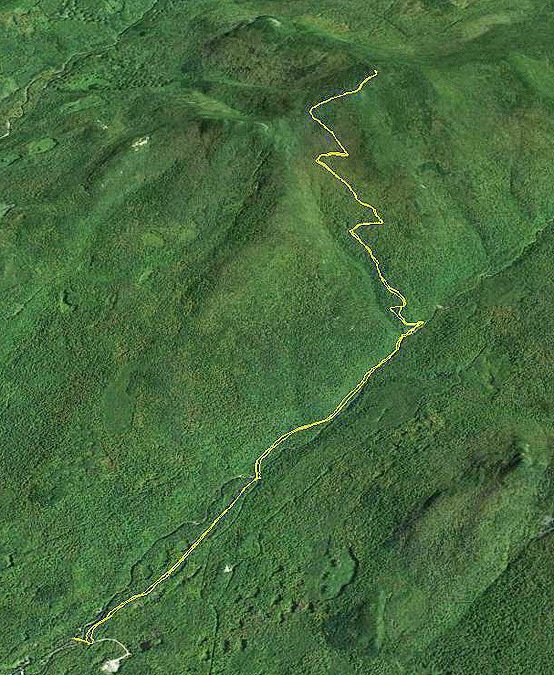 - Soon after passing through the Old Man's Beard section the trail drops down and then shoots up to Mount Hale, where the trail ends on the western side of the summit. 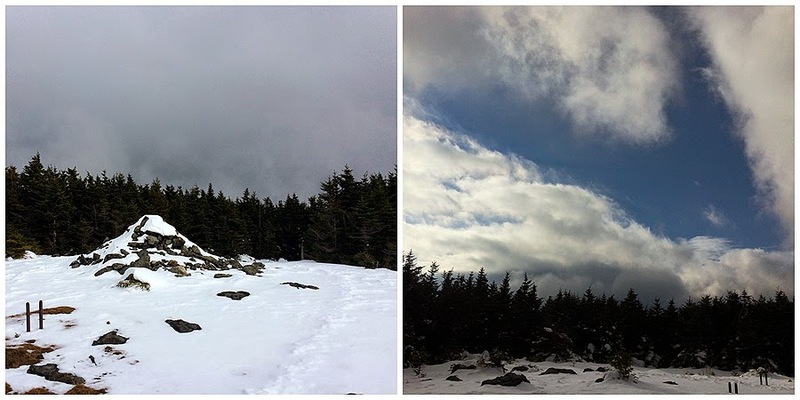 I changed into dry layers and ate lunch on the summit, the weather was unseasonably warm for 4,000 feet and above me the clouds were breaking open a little bit which was an added bonus. - Once done with lunch I took some pictures and high-tailed it out of there and booked it back down the Fire Wardens Trail. 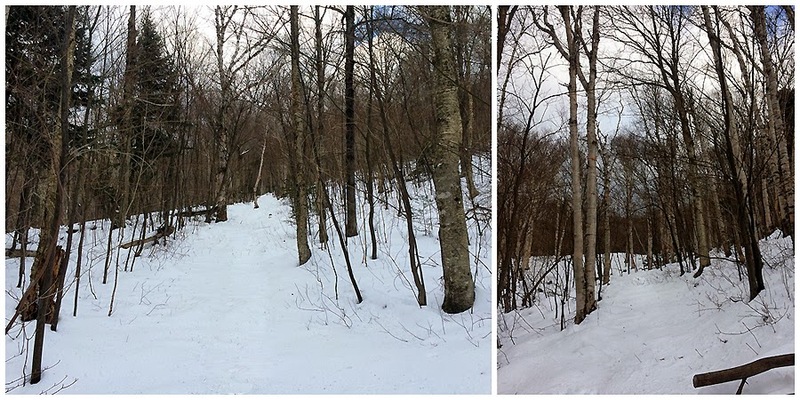 It's one of the easiest descents in the snow of a 4,000 footer, it has an easy grade and is basically like heading down and ramp on a small decline. - Once back on the North Twin Trail I quickly made my way back to the trailhead and then jumped onto the herd path over the old grade back to the Jeep, but not before stopping at the weird looking fireplace and rock foundation building next to the road, see pic below. 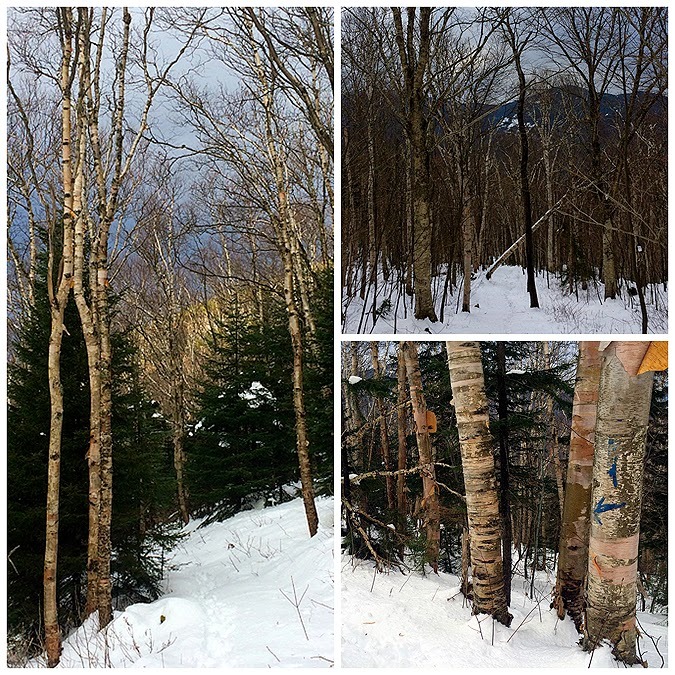 Birch Glades, notice the blue paint on the lower right Birch tree! Very nice report and photos, as always Chris! 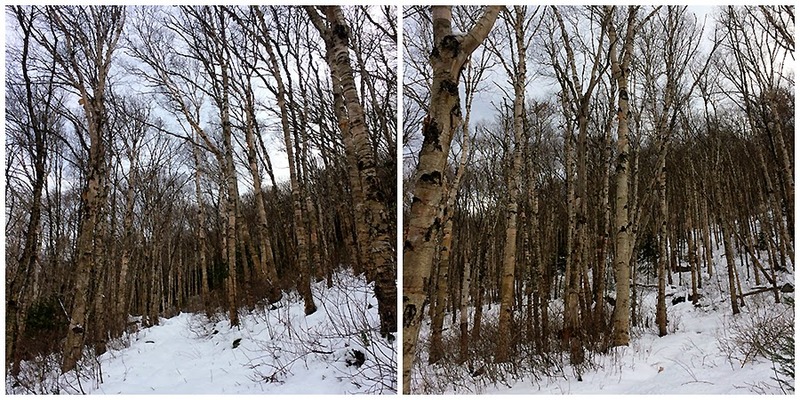 Seems like a weird thing to comment on, but it's amazing to me that the blue arrow on that birch tree has remained relatively intact for so many years. It's been there for at least 8 years that I know of. Please keep on posting your blog reports. Each one is a pleasure to read! Thanks, John :) I'm hoping to one day explore to the north of Mount Hale and see if I can try and locate parts of the Old Tuttle Brook Trail!